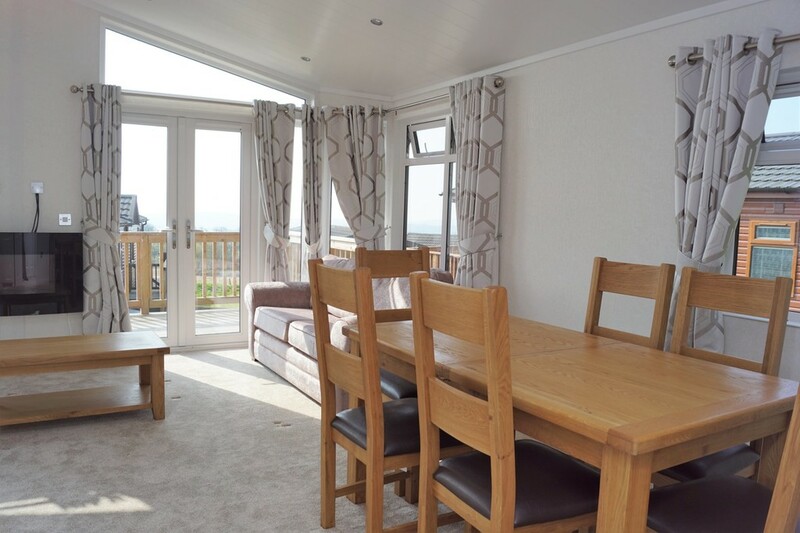 NEWLY BUILT and FULLY FURNISHED, a LUXURY HOLIDAY LODGE with two bedrooms and two bathrooms, DECKED SEATING AREA and off-road PARKING, in an exclusive semi-rural development enjoying SUPERB PANORAMIC VIEWS. NO ONWARD CHAIN. 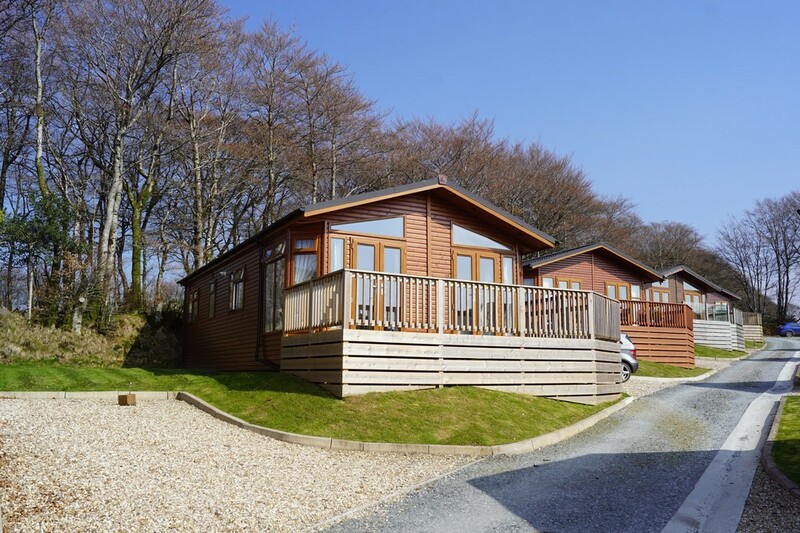 SITUATION Situated in a delightful semi rural location about three miles to the north of Tavistock, Cedar Lodge Park is an exclusive development of eleven luxury holiday lodges, enjoying superb panoramic views across open countryside. Tavistock is a thriving market town adjoining the western edge of the Dartmoor National Park and was in 2004 voted the winner of a nationwide survey undertaken by the Council for the Protection of rural England involving 120 other market towns. Among the assets taken into consideration were history, architecture, community spirit, planning sensitivity, recreational facilities and individuality of shops and businesses. Additional attractions include a hospital, a bustling Pannier Market and a full range of schools both State and Private. Indeed Tavistock can claim to have everything adding up to a quality of life which would be hard to rival. 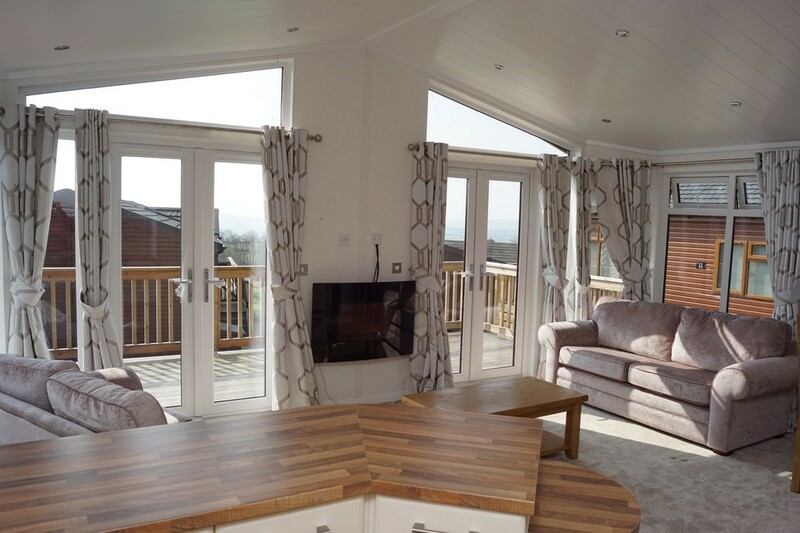 THE DEVELOPMENT Cedar Lodge Park is an exclusive development of just eleven luxury holiday Lodges situated in an enviable position on the edge of Dartmoor National Park. 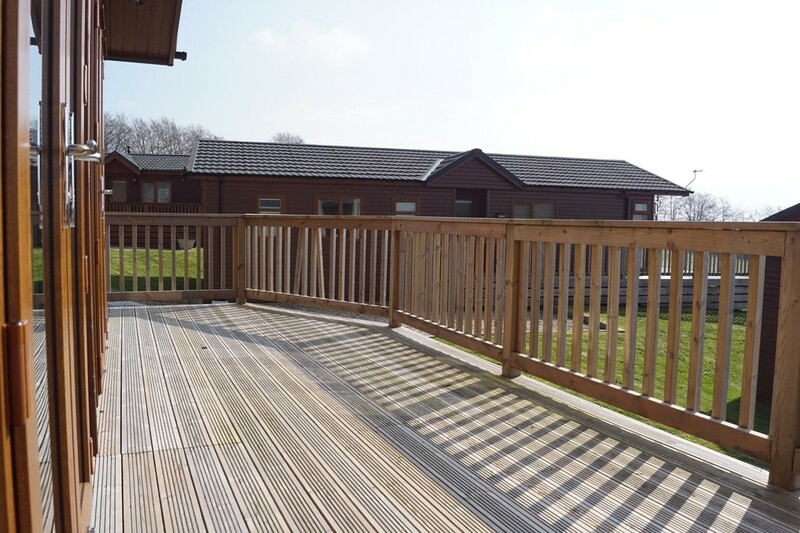 Each Lodge is sited within a beautiful landscaped setting offering peace and quiet and stunning countryside views. 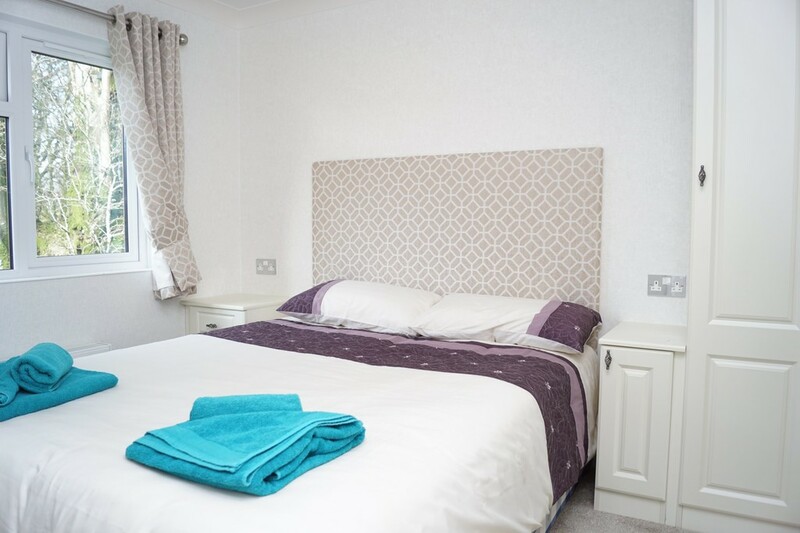 All Lodges are carefully designed to ensure that space is utilised to the maximum, they are provided fully furnished and are equipped to the highest of standards, designed to provide the perfect holiday experience, and should you wish to let the Lodge an investment income as well. 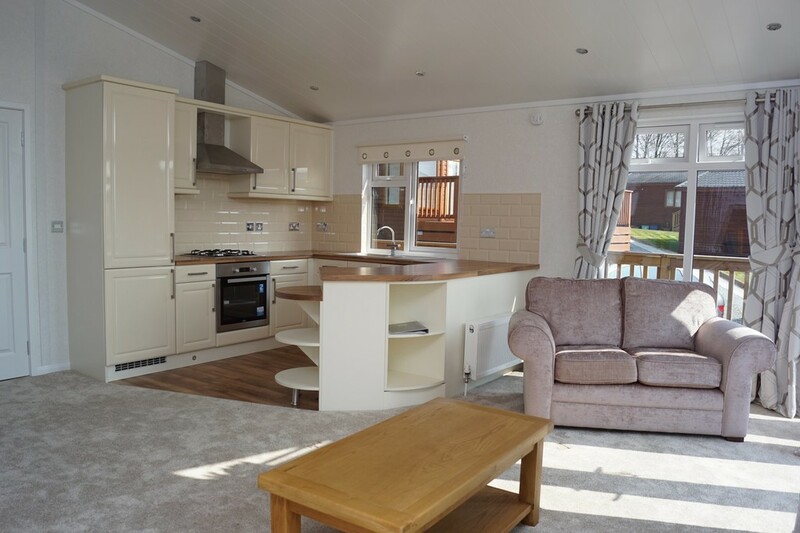 The Lodges are sold with the added value of the remainder of a 99 year letting agreement. 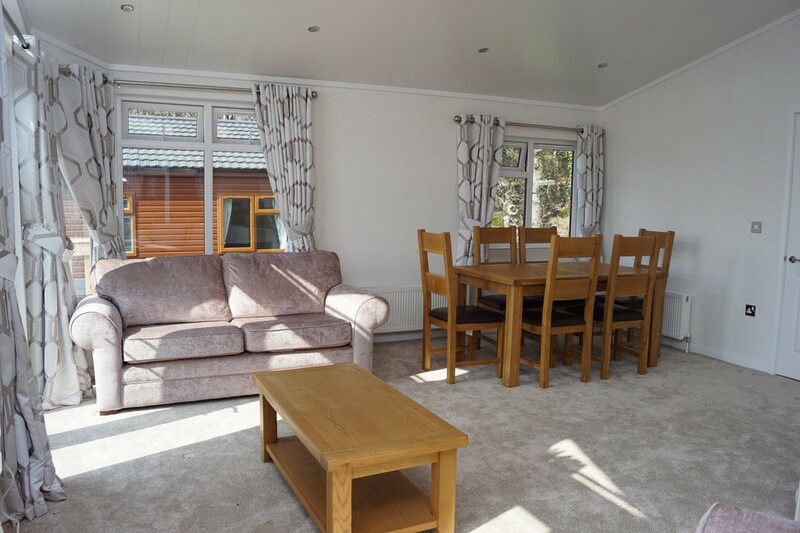 DESCRIPTION 36' 0" x 22' 0" (10.97m x 6.71m) Newly built and fully furnished, this luxury holiday Lodge offers calming, neutrally decorated, light and spacious accommodation. 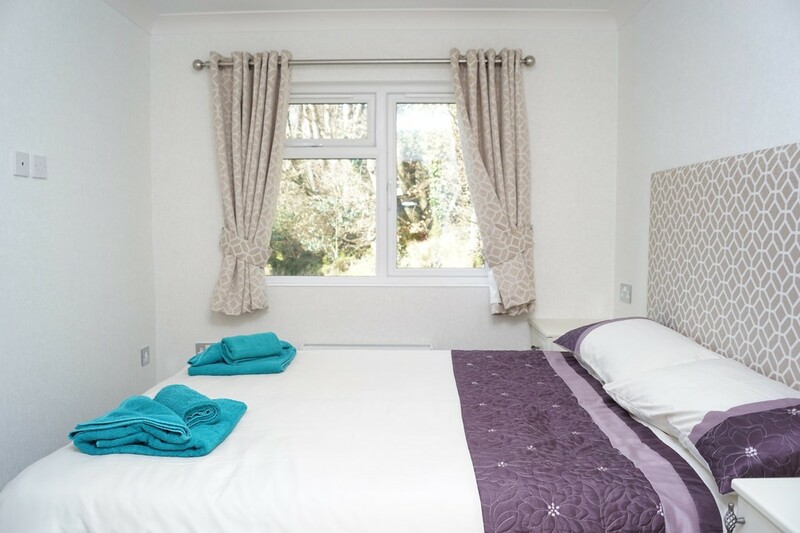 The two bedroom/two bathroom Lodge offers beautifully tranquil, rural south facing views and aims to provide a relaxing holiday experience. 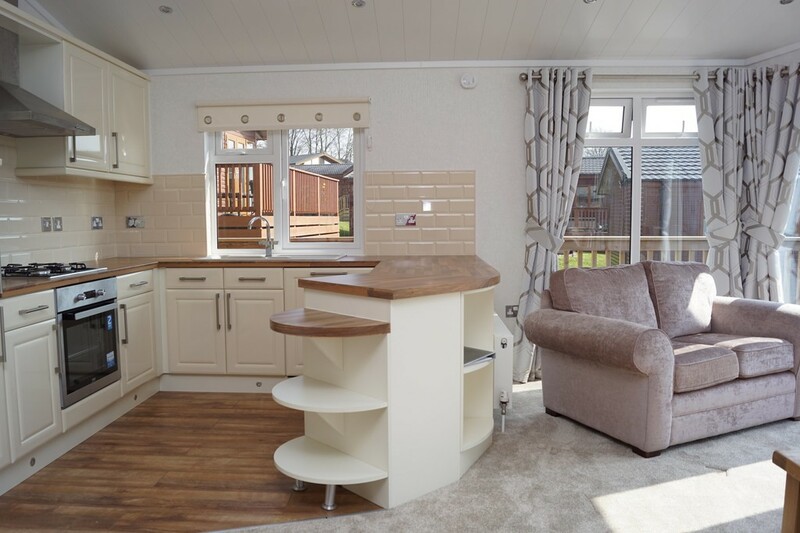 This lodge is being sold with the benefit of no onward chain. KITCHEN AREA PVCu double glazed window; fitted with a modern range of matching soft close wall and base cabinets set beneath roll top worksurfaces; built-in Beko oven and grill with inset hob above and stainless steel extractor hood over; built-in dishwasher and fridge/freezer; laminated oak-effect flooring with attractive feature lighting at skirting level; recessed spotlights. LIVING/DINING AREA Triple aspect L-shaped living and dining area making the most of the stunning rural landscape. 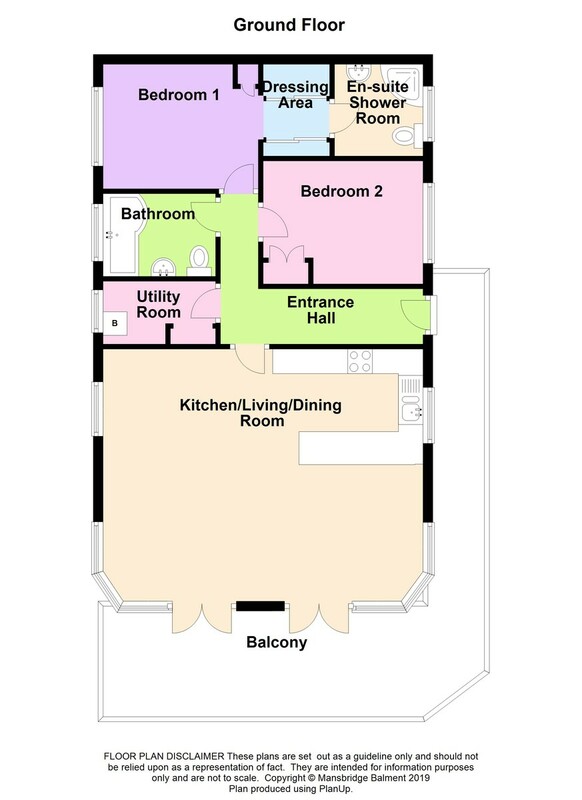 Double glazed French doors open from here on to the south facing decked balcony area; wall hung remote controlled electric fire; television aerial point; three radiators; recessed spotlights. 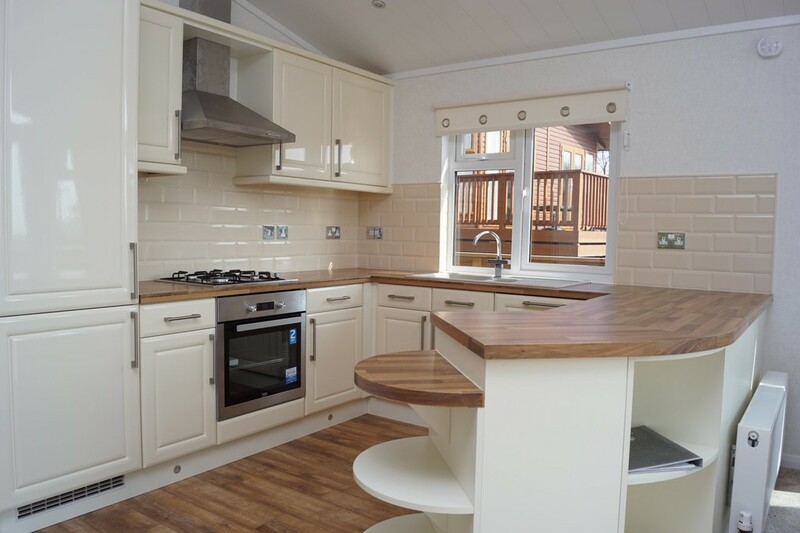 UTILITY/BOILER ROOM 6' 5" x 3' 10" (1.96m x 1.17m) Automatic washing machine; Ariston combination boiler; useful slatted shelved storage alcove; radiator; extractor fan; laminate flooring. FAMILY BATHROOM 6' 5" x 5' 5" (1.96m x 1.65m) Obscure PVCu double glazed window; white three piece bathroom suite comprising P-shaped bath with chrome thermostatic shower over and glass shower screen, wash handbasin with illuminated mirrored cupboard over, low level WC; heated chrome towel rail; radiator; extractor fan; recessed spotlights. 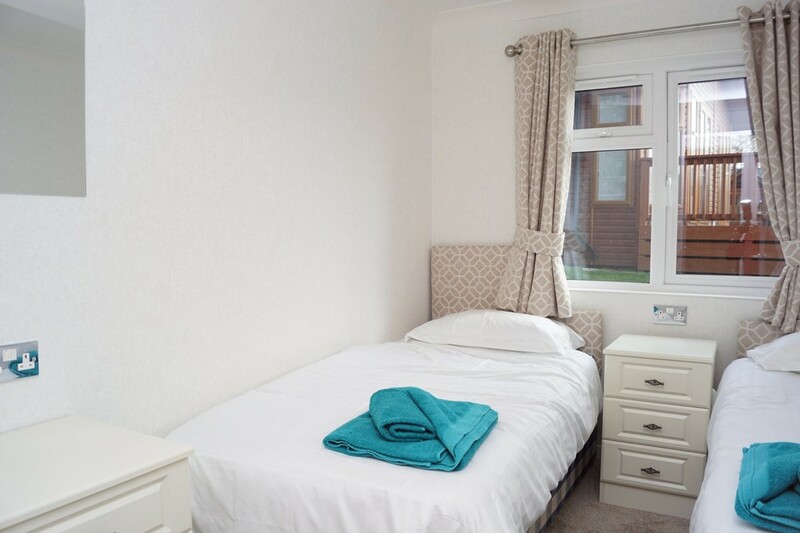 MASTER BEDROOM 13' 8" x 8' 3" (4.17m x 2.51m) PVCu double glazed window to side; built-in bedroom furniture comprising two double wardrobes, single wardrobe, two bedside cupboards; television aerial point; recessed spotlights. 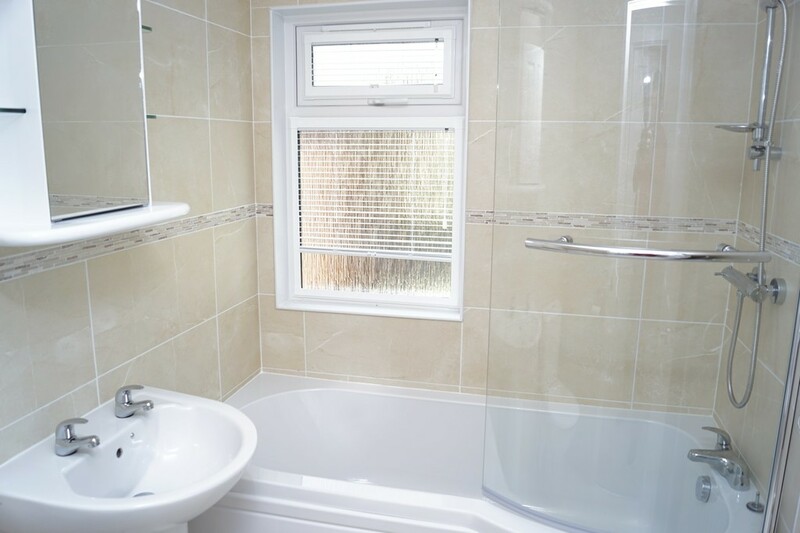 ENSUITE 5' 11" x 5' 4" (1.8m x 1.63m) Obscure PVCu double glazed window; three piece white suite comprising low level WC, shower cubicle with thermostatic shower, wash handbasin with illuminated mirror cupboard over; chrome heated towel rail; radiator; extractor fan; recessed lighting. 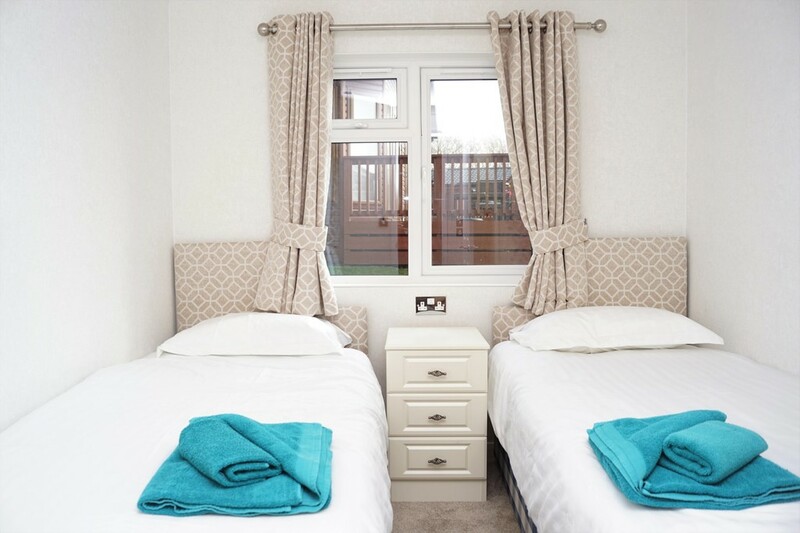 BEDROOM TWO 9' 5" x 8' (2.87m x 2.44m) PVCu window to side; built-in double wardrobe; radiator; recessed lighting. 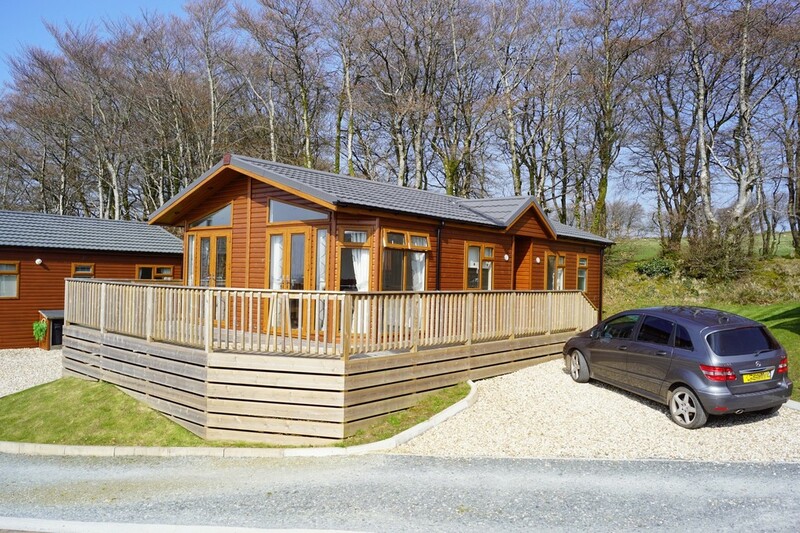 OUTSIDE: To the side of the Lodge there is gravelled private off-road parking. 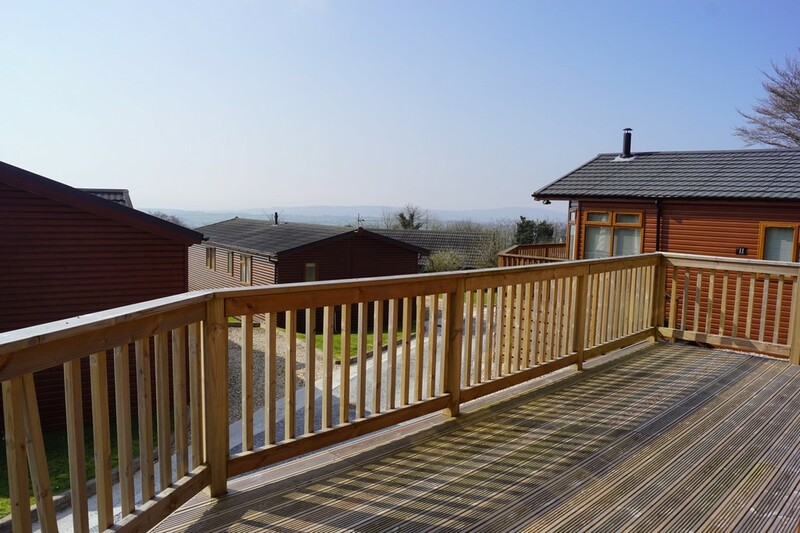 From here steps lead up to the front door and the side decking which wraps around the Lodge to the front and offers the perfect space for al-fresco dining and for enjoying the sunshine and views. SERVICES Mains electricity, metered LPG gas, private water and drainage. 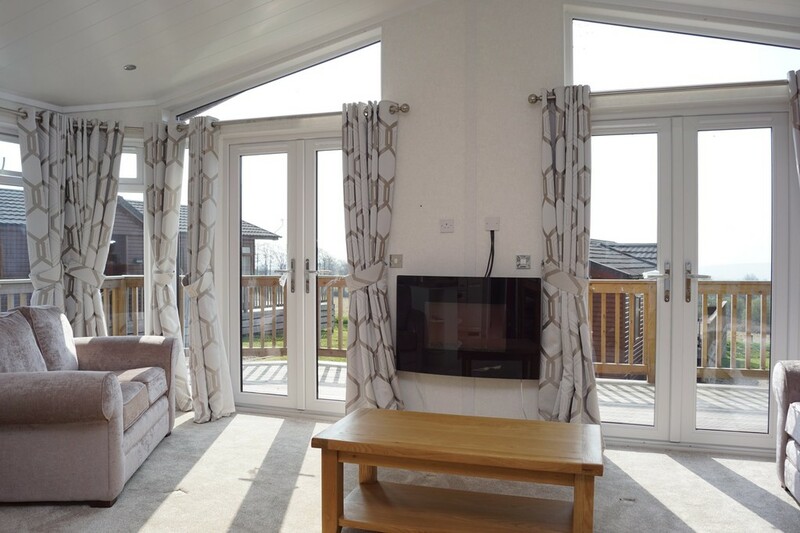 SPECIFICATION All Lodges are built in the UK to the British Standard BS3632 - the residential standard for construction and insulation. DIRECTIONS From the centre of Tavistock, proceed from Bedford Square between the two banks and onto Drake Road following the signs for Chillaton and Brentor. Proceed up the hill and out of the town and continue for approximately one mile, taking the left hand turning signposted Chillaton and Lifton. Continue along this road for approximately one mile, turning right at a crossroads and continue up the lane for approximately 150 metres where the entrance to the lodge park will be seen on the right hand side as marked by a Mansbridge Balment 'For Sale' board.